Hay-on-Earth is the festival’s ongoing sustainability project and is part of our programme of managing and mitigating our environmental impacts, particularly as we stage more festivals around the world. The project has been running for seven years. Please join us. Full day ticket allows entry to all 6 sessions. Events 2, 3, 5, 6, 7 and 9. Is it possible to manage resources fairly and equitably? A strong local economy is important to sustainability, but how large is a local economy and how self-reliant can it be? What part does the law play in ensuring a resilient environment for all and preventing exploitation by the few? The Telegraph’s Geoffrey Lean chairs. When BBC Radio 4’s Material World announced a search for the UK’s top amateur scientist, the winning experiment involved one of our humblest garden pests. Ruth Brooks asked the question: Do snails have a homing instinct? The Telegraph’s Louise Gray chairs. It’s like that old punk idea: ‘Here are three chords. Now go out and set up a band.’ The process of making change can be really thrilling. In fact, it only works if it’s fun. The Transition Movement co-founder reveals all to the Hay-on-Earth Director. Our four local choirs, Brecon and District Male Choir, Builth Male Voice Choir, Rhayader and District Male Voice Choir and Talgarth Male Choir sing a concert of classic and contemporary songs, with soloists Lynne Bryer and Paul Sweeting. The winning entry to the INSPIRE literature and sustainability competition that took the world by storm over Easter - how three academics from Aberystwyth used a sustainability lens to expose Shakespeare as a tax dodger and grain hoarder. The lecture will be read for the first time at this special event to mark a new partnership between the Hay Festival, INSPIRE and ASLE-UKI.... The collaborative authors Dr Jayne Elisabeth Archer, Professor Richard Marggraf Turley and Professor Howard Thomas present: Reading With The Grain: Sustainability And The Literary Imagination. The band will release their fourth studio album, Heart Of Nowhere, on 6 May, their fourth record in five years, following 2011’s platinum-selling Last Night On Earth. 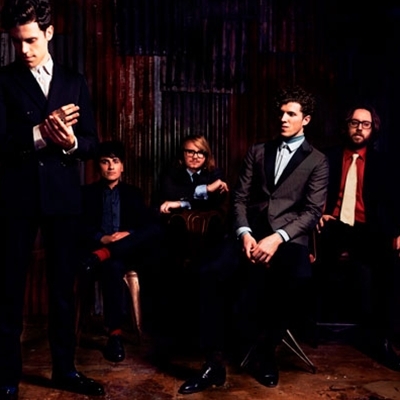 Noah And The Whale are Charlie Fink (vocals, guitar), Tom Hobden (violin), Urby Whale (bass), Fred Abbott (guitar) and Michael Petulla (drums). Supported by the buoyant and lush alt-pop imaginings of Thumpers. Hay Castle, once a great medieval stronghold, is alive with possibilities once again. Find out more with Mary Morgan, head of Hay Castle Friends, on a guided tour of the 12th Century keep, Jacobean mansion and Victorian service buildings. Includes tea and a bun. Please note: There are two tours, one starting at 10am and one starting at 11am. Please book for the tour you wish to attend, using the variant boxes below. The history of Russia’s Secret Services from the Revolution to the Fall of the Wall: the Military Intelligence, the codes and ciphers and the KGB. Once commonly found in the marshes of Kent, the short-haired bumblebee now only exists in the wilds of New Zealand, the descendants of a few queen bees shipped over in the C19th. The conservationist describes his drive to reintroduce it to its native land, the effects of intensive farming on the bee population, and the consequences of extinction.